Wintergreen Fire Department was dispatched for a possible structure fire at approximately 11:30 on Tanbark Drive in the Afton area. Rockfish Fire Department arrived on scene to find a house fully involved with fire spreading into the woods. Crews were able to knock the fire down quickly and stayed on scene for an extended mop-up. No injuries were reported by the property owners or firefighters. 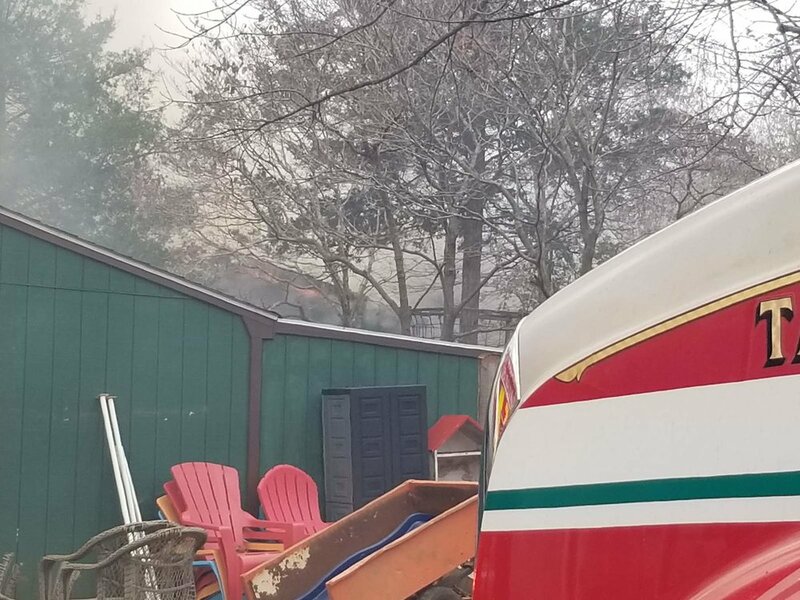 Units on scene were Engine 50, Tanker 52, Tanker 53, Utility 52, Tanker 2, Tanker 12, Tanker 42, Tanker 37, Salvage 23, Attack 36, Response 174, Medic 924, Western Albemarle Rescue - Squad 505, Chief Crawford, Chief Riddle, Nelson Sheriffs Deputies, Virginia State Police.